South African International Relations and Cooperation Minister Lindiwe Sisulu has co-chaired the 15th session of the annual South Africa-Russia Intergovernmental Committee on Trade and Economic Cooperation during a working visit to the world’s largest country. 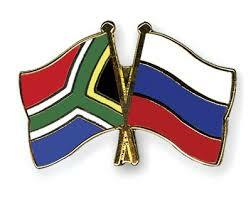 Sisulu co-chaired the day-long meeting with Russia’s Natural Resources and Environment Minister Dmitry Kobylkin on Wednesday as part of a bilateral agreement signed in 1999 with the objective of deepening relations between the two countries, the International Relations and Cooperation Ministry said in a statement. The meeting focused on investment, trade, banking cooperation, mineral resources, agriculture, justice, forestry and fisheries, water resources, science, technology and space as well as higher education. The main focus of the South African delegation was to build partnership and identify investment opportunities to grow the country’s economy and create jobs here. “We are putting all our efforts in supporting President (Cyril) Ramaphosa’s investment drive to reach a target of US$100 billion as soon as possible,” Sisulu said. “We can also build partnerships on water and agricultural technology, and education and skills development,” Sisulu said. During the recent 10th BRICS Summit in Johannesburg, the two countries signed two agreements/memoranda on cooperation in the fields of agriculture and water resources.